I'm supposed to be writing a service for church on Sunday. I have an idea what I want to say, and I've done my research. It's just not coming together. I also have a pile of dishes in the sink, dirty clothes to wash and endless other tasks around the house to do. What am I actually doing? Sitting on the couch, with a mild headache, a lot of brain fog making it hard to think clearly about anything, and no energy for anything. What do I plan to do from here? There's only one thing to do. I'm off for a nap. 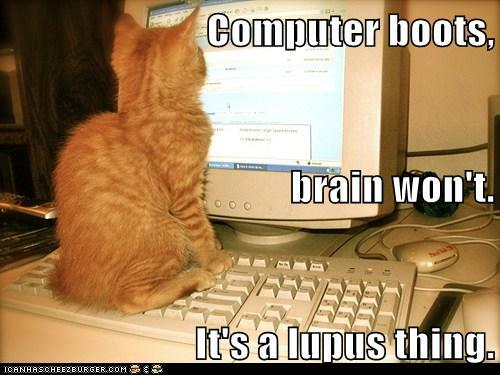 Hopefully, when I wake up and boot the computer back up again, my brain will boot up too. I guess you have to go a bit easy on yourself.At times mind knows too many things yet unable to function. Hence, relaxation is a must for it.